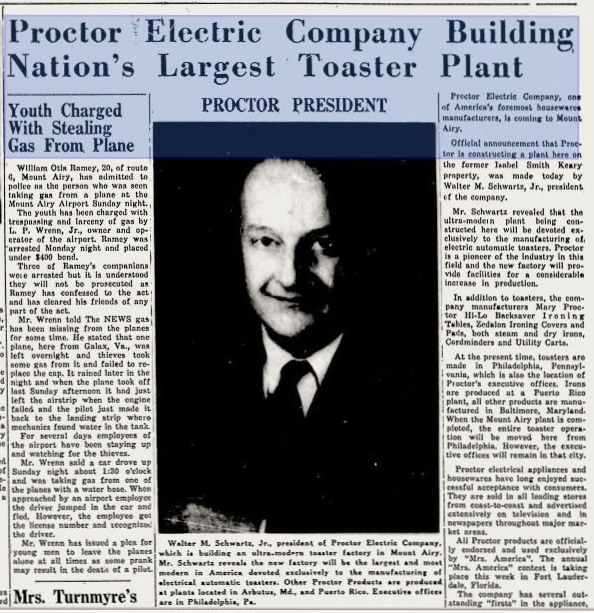 Proctor Electric Company merged with Silex Corporation in 1960 and then with Hamilton Beach in 1990. 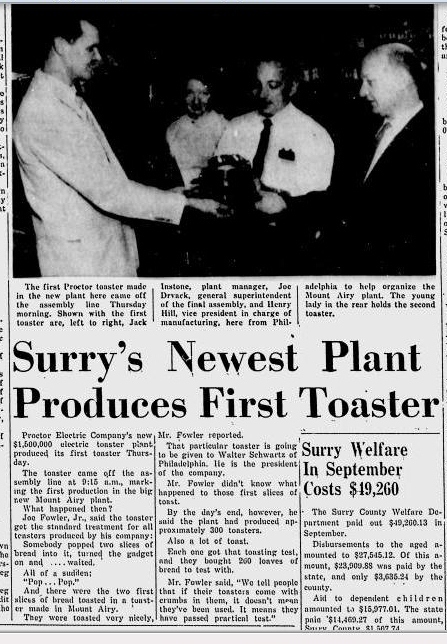 In 1998, Hamilton Beach/Proctor Silex closed their plant in Mount Airy. In the early 1950s during the initial grading and excavation of the land to prepare for building the toaster factory, a large Native American burial ground was uncovered. 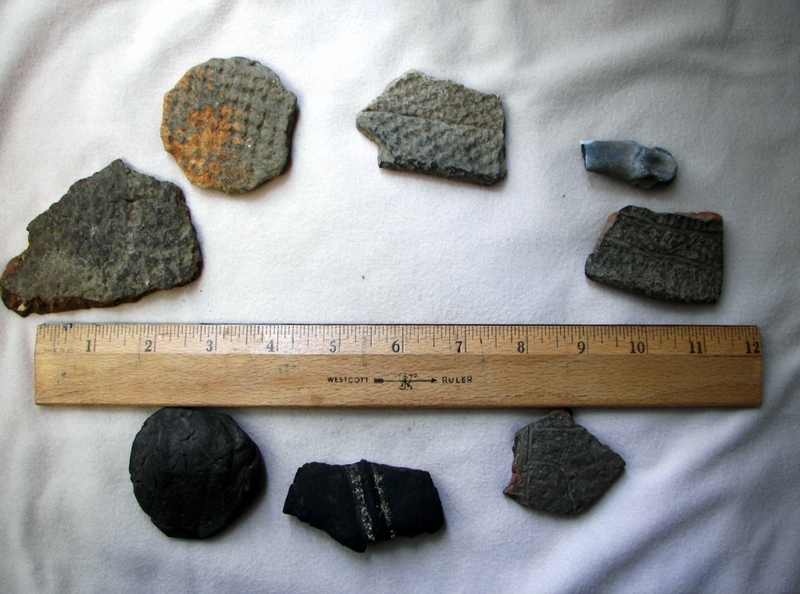 Newspaper accounts noted skeletons, pottery, projectile points, beads and pipes were being unearthed and treasure seekers and souvenir hunters from all around were coming to collected these items. An open invitation was issued for the public to come and “hunt for relics.” Sadly and unlike today, during this time period there were no NAGRPA regulations (Native American Graves Protection and Repatriation) or guidance for protecting Native American grave sites or properties. This site, a part of the “Geocaching for History” program, was researched and placed on the Emily B. Taylor Greenway by the Mount Airy Museum of Regional History in partnership with Kids in Parks-Track Trails System – Blue Ridge Parkway Foundation, Blue Cross Blue Shield North Carolina Foundation and the North Carolina Humanities Council. The goal of this program is to encourage physical activity and exploration of the history of our community.